This is not a book of sorrow and foreboding but teaches us how to accept and even welcome death, as a great teacher, the last great mystery and culminating experience of life. The Tibetan Book of the Dead and the Egyptian Book of the Dead have fascinated and inspired generations of Westerners looking for sense and significance in the mysteries of life and death. These ancient scriptures laid out elaborate rituals and explanations of death, often exotic but sometimes alien to our own experience. 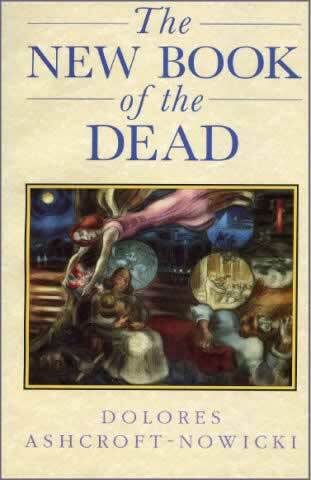 The New Book of the Dead is a modern version of this ancient wisdom, written specifically for Westerners. It is a detailed, fully illustrated guide for dealing with death and bereavement in all its forms: natural and violent, children and old people. It describes times of preparation – such as the ritual cutting of the silver cord and the blessing and license to depart, saying good-bye and letting go of the physical realm. It gives instructions for the preparation of the body, funeral and death ceremonies in various traditions and rites for the modern priests of Anubis. Altogether, it is full of both practical guidance and esoteric insight. This is not a book of sorrow and foreboding but teaches us how to accept and even welcome death, as a great teacher, the last great mystery and culminating experience of life.